The countdown is getting closer to single digits! In just over two weeks I’ll be welcoming a batch of Kindergarten through 6th graders into my new STEM classroom! I’m so excited (and, admittedly, nervous) about starting in a new school, with new families, a new district, and a whole new program for the district. One of my favorite blogs I stumbled upon is called “Growing a STEM Classroom,” and it was this post about a 20 minute challenge that really got me excited to find more resources. I was so thrilled to find out that the author of that blog also had a storefront on TpT! She has the instructional pack for the Tiny Glasses Challenge for only $2.00 (at the time of this post)! Digging further, she has three packs (#1, #2, and #3) of STEM Lessons/Challenges that would be lovely to get my hands on at some point. As I mentioned above, I’m a little apprehensive about teaching the Littles, so I specifically searched for some Kindergarten/1st grade lessons, and I came across this set of STEM activities based around lots of familiar stories! Last but not least, we all have to start somewhere, so this packet called “Ready, Set…STEM!” is probably a good place to begin for ideas. 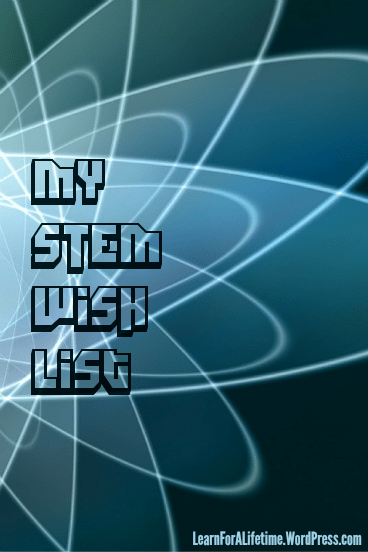 Do you have an aspect of STEM in your life that you’d love to share? Do you have any mini-lessons involving science, technology, engineering, or math that you love, or can’t miss teaching? Please share them in the comments! I’d love to crowdsource some excellent opportunities for my students! And, as always… keep a song in your heart! It looks like you’re finding some great materials! Literature is a must for young children; I highly recommend the MathStart series by Stuart J. Murphy. If you need any specific ideas for K during the year, don’t hesitate to ask!